Huntsville offers a lot of atypical attractions for tourists. As the center of the Texas penal system, it has, on display at the Texas Prison Museum, the “Old Sparky” where over three hundred criminals met their end. Another popular tourist attraction is the Sam Houston statue located at the southern part of Huntsville. The statue is the tallest of all American heroes. 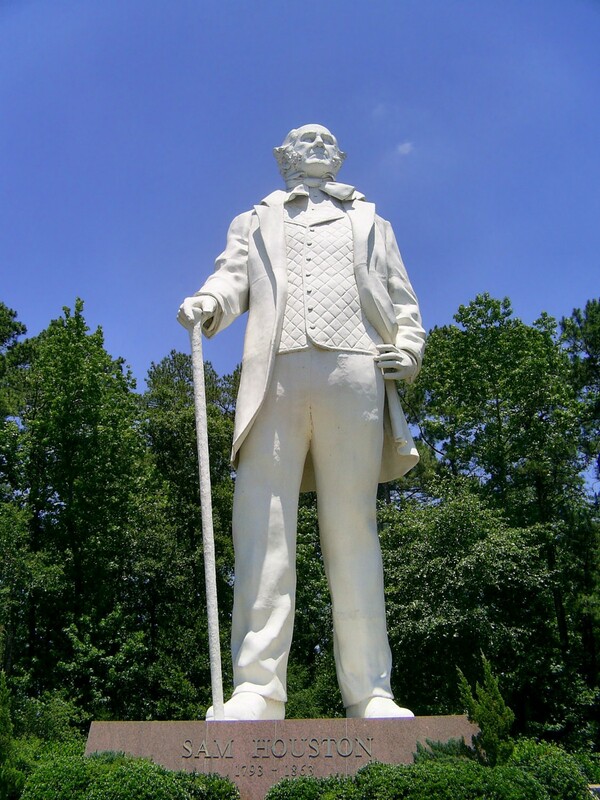 Sam Houston’s statue stands at a height of a towering sixty-seven feet atop a ten foot base. The memorial is named, “A Tribute to Courage”. 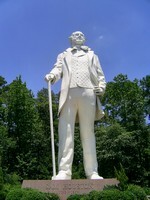 Sam Houston’s concrete statue bearing a walking cane towers above Interstate 45. The popular statue, made by artist David Adickes, is considered by many to be the second tallest free-standing statue in America after the Statue of Liberty. However, there are actually larger statues such as the seventy-six feet tall fiberglass Golden Drillers in Tulsa, and the ninety feet tall Our Lady of the Rockies statue in Butte, Montana. David Adickes began the project during the early part of 1992. He made the 25-ton concrete and steel structure in 10-foot sections, which each contain five layers of reinforced concrete. Fiberglass mesh is incorporated in the outside layer. The statue was dedicated two years later on October 22, 1994.